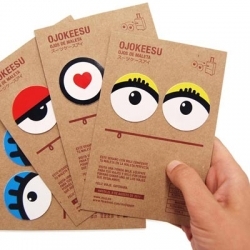 This summer Muji made Ojokeesus, The Eyes of The Perfect Suitcase. 20,000 stickers with eyes to customize bags into traveling companions. Four models: Minako, Takeshi, Kokoro and Aiko. 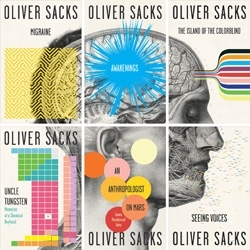 Fantastic Oliver Sacks book covers designed in-house by Cardon Webb, available in August. 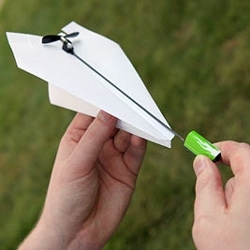 Electric Paper Airplane Conversion Kit - Paper Airplanes have always been fun, especially with a tiny propeller on it. No longer are you at the mercy of gravity. 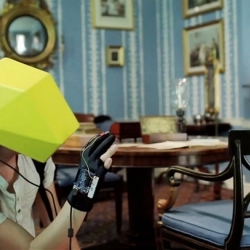 VIDEOFirst video of a surprising experiment exploring the expression of kid rage. 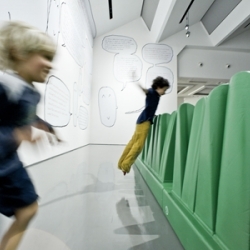 A child is set loose in a room with a single direction : destroy it. 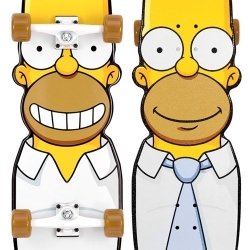 Santa Cruz Skateboards teamed up with Matt Groening to produce a series of 5 Simpsons-themed Cruzers. 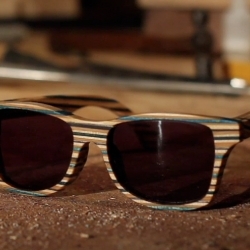 VIDEOCheck out Shwood Eyewear's latest experiment, sunglasses made from broken skateboard decks! 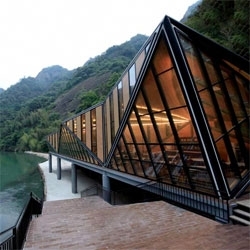 Tianmen Mountain Restaurant by Liu Chongxiao. 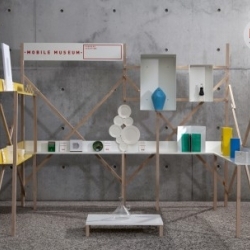 The Mobile Museum, by Fabrica designers Dean Brown and Philip Bone, is a traveling museum, with contents contributed by people from all over the world. Discover the work of Denis Carrier (Studiofolk). 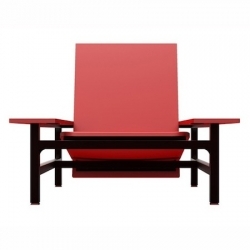 Inspired by the Gerrit Rietveld red and blue chair, this chair designed by Benoît Liénard simply turns into a coffee table. 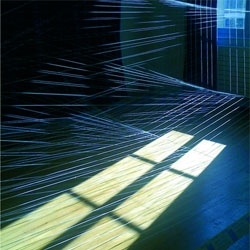 Sean McGinnis creates some impressive artwork using rope. 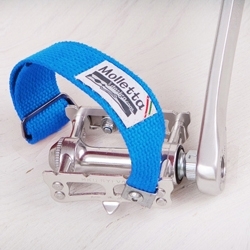 Beautifully simple BiciBand pedal straps by Molletta. Handcrafted in San Francisco. Check out all the colors! 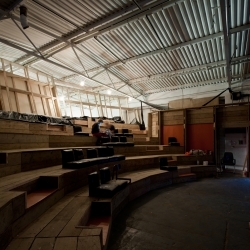 The Yard is a new temporary theatre in Hackney Wick, East London. Designed by Practice Architecture & Christopher Daniel, constructed from material reclaimed from the Olympic construction site. 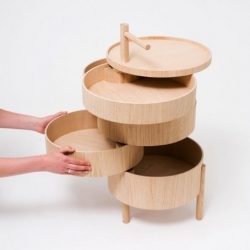 Mushiki, the bamboo compartmentalized table system - a new design developed by Okay Studio member Tomás Alonso. 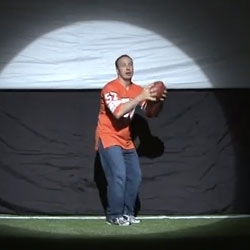 VIDEO"Evolution of the Touchdown Dance" - from Wieden+Kennedy New York and ESPN. 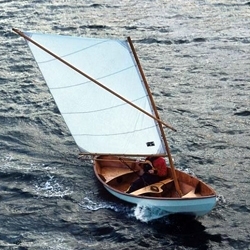 The Skerry sailboat by Chesapeake Light Craft is a nimble mix of traditional British, Scandinavian, and American designs. 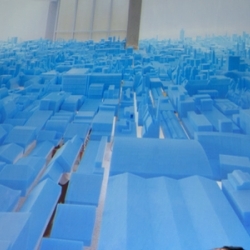 Studio Aisslinger's LED-TV designprojects for Changhong. 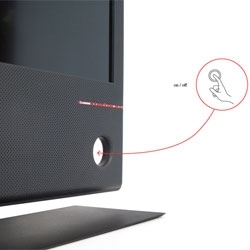 The TV is turned on by inserting a finger in a circular opening within the stand where a sensor registers the movement and activates the screen. 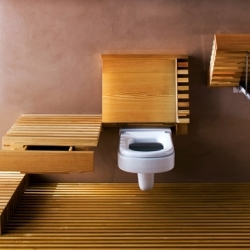 The new 'Invisible' bathroom by Matteo Thun for Rapsel, impresses with few lines and innovative forms. Basin, Shower and WC almost disappear and become geometric modules that function as sculptural shelves. FEATUREDImprov everywhere's Mp3 Experiment Eight. 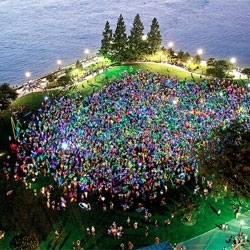 Over 3,500 people downloaded an MP3 file and pressed play simultaneously at sunset in two starting points by the Hudson River. Amazing video and photos! 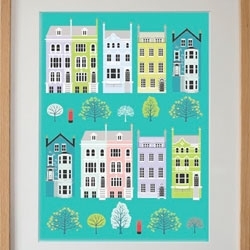 Equilibriumart has a cute London houses poster. 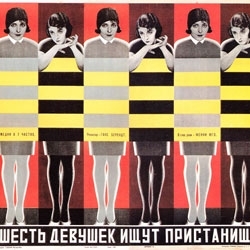 Soviet Revolutionary Movie Posters at the Tony Shafrazi Gallery in New York. 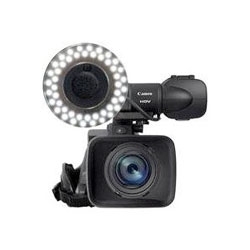 The Rotolight is the perfect accessory for your new DSLR. 48 LEDS that give you 50 watts of shadow free light. 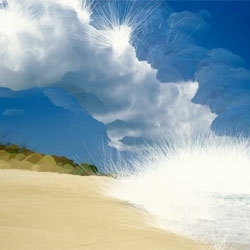 Pierre Commenge (Emoc) with incredible images created by knitting photographs using Processing. 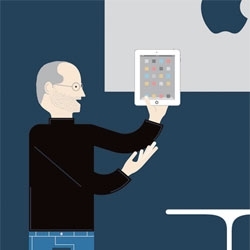 Chris Jordan's Running the Numbers II: Portraits of global mass culture. 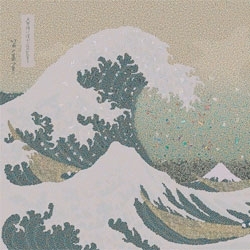 This wave depicts 2.4 million pieces of plastic, the estimated quantity entering the world's oceans every hour. 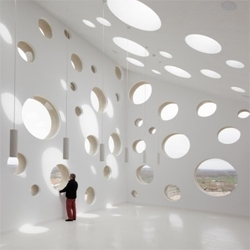 The new headquarters for Ribera del Duero has luminous white interior spaces, contrasted with stone exteriors. Incredible work by Estudio Barozzi Veiga. 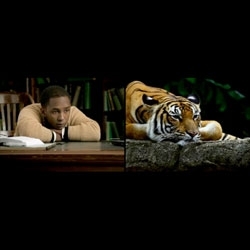 VIDEOThe World is where we live, a new ad for the WWF showing our connectivity. 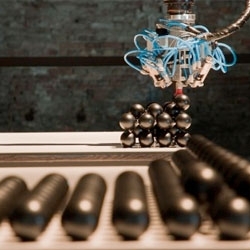 Federico Díaz’s Outside Itself, a shapeshifting installation in Venice's Arsenal Novissimo created by two robots without the touch of a human hand. 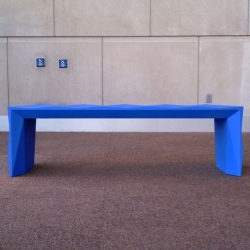 Tonal Bench based on paper folding techniques uses CNC router to mimic a V pleat, creating subtle angles that when light hits - the tonal pattern is revealed. 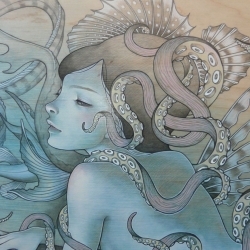 By Christopher Stuart. 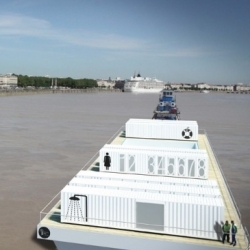 2:pm Architecture has designed a floating shipping container pool that purifies river water! 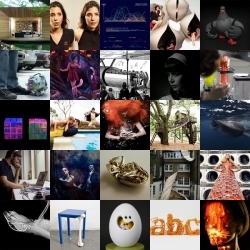 FEATUREDA roundup of some of our favorite design inspiration of the week here at NOTCOT.org including a good round of photobombing, hideaway capsules, sloth x-rays and pneumatic tubes. At Festarch, Ole Bouman, director of the Netherlands Architecture Institute told us about the the 'new glory of architecture'. 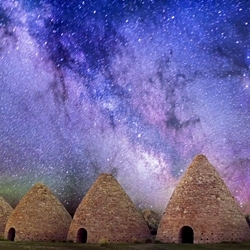 Historic kilns from the 1870s in Nevada underneath the Milky Way. 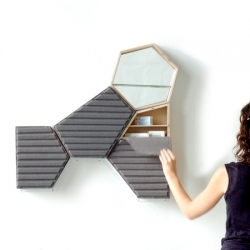 Pharmaceutical cabinet by young french designer Céline Forestier. 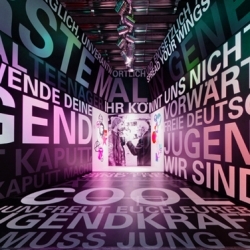 Atelier Markgraph's exciting and interactive new exhibition examining Germany's youth from 1950- present. 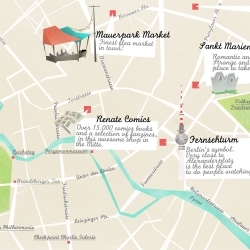 New illustration by Veronica Cerri, a tribute to the amazing Berlin! 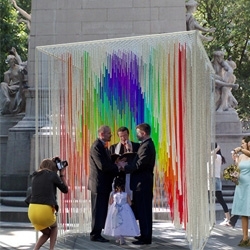 The winners of Architizer + The Knot's Pop Up Chapel competition are announced! The two temporary chapels will be constructed this Saturday in Central Park and will host 24 weddings in celebration of marriage equality. 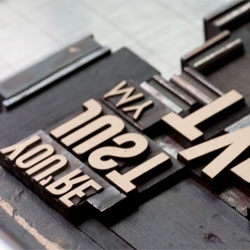 Designer Kyle Durrie's "Moveable Type" offers letterpress classes out of a truck. 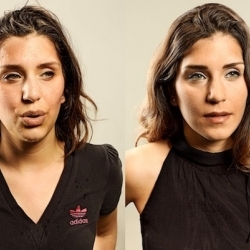 A nice photoset of people before and after jogging by Sacha Goldberger. From 6th to 9th October design meets with art in a path developing right in its capital: the Milan Design Weekend returns. 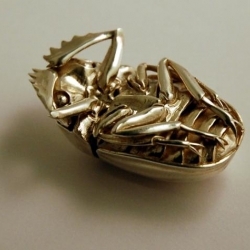 Scarab Pendant 3D printed in Sterling Silver for entomological fetishists. Design by Elytra, 3D printing by Shapeways. 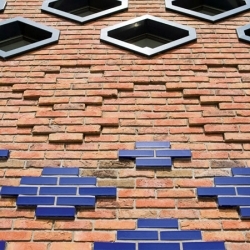 Way out in the Amsterdam suburbs, Onix is talking to residents about renewing their neighbourhood without undermining the diversity of lifestyles to be found there. 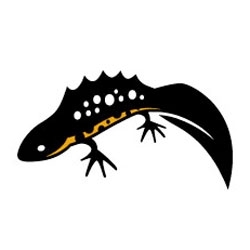 Love the new logo for Amphibian and Reptile Conservation by Tim Bernhard of Pangea Design. 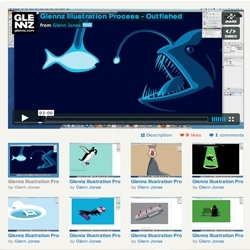 Illustration recording of Glennz Tees designs compressed into 3 minutes. 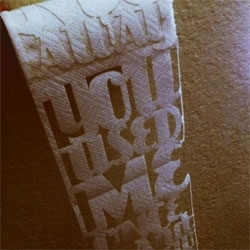 Laser cut paper towel roll by Books Bischof. 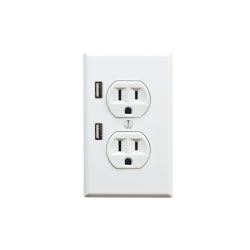 Fastmac's dual socket allows two outlets and two USBs to charge all your gadgets. 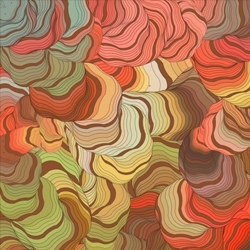 WURM is a generative art app for iPad/iPhone that creates stunning whimsical patterns with the gliding gestures of your touch. It comes with a preset of unique shapes and palettes that intermix to numerous visual possibilities.